(Nanowerk News) One holds it; the other poisons it. 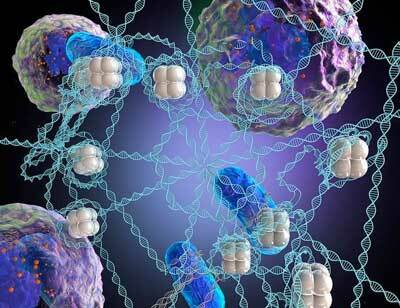 This is how a white blood cell may someday work together with an antibiotic. Today's antibiotics are not particularly engineered to coordinate their fight against bacteria with white blood cells, the body’s own first line of defense against infectors, but a new study gives hope that that could change. Takayama and VanEpps synthesized a rough chemical imitation of the NETs to study how they work by snaring bacteria in the lab in vitro. They also found antibiotics killed bacteria more effectively when combined with the synthetic web than when applied alone. The researchers published their results in the journal Advanced Materials ("Antimicrobial Microwebs of DNA–Histone Inspired from Neutrophil Extracellular Traps").